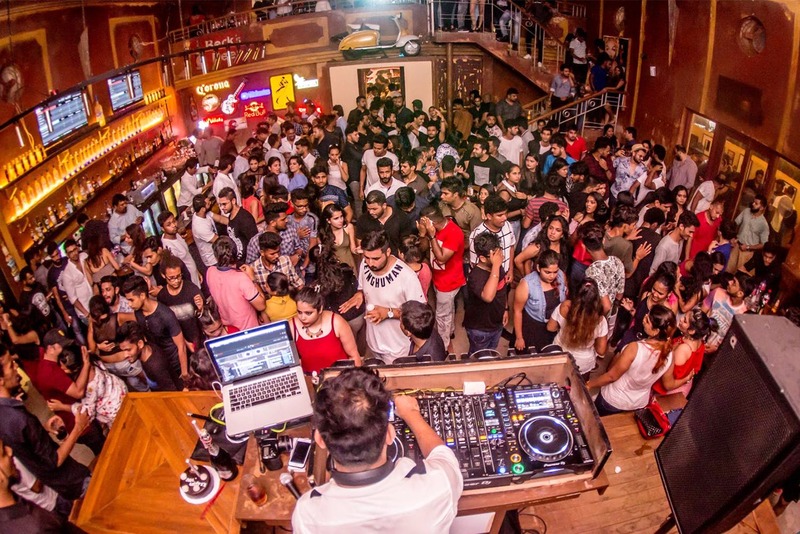 Goa continues to be the party capital of India, and if you are done with Club Cabana, Cohiba, LPK, Sinq and the likes, then check some of these places out. Of course, a lot of the popular places shut down during the monsoons, but these are the places that stay rocking throughout. Soro means alcohol in Konkani, and how apt is the name. This bar, again, is housed in an old Goan house with a nice outdoor seating as well as pool table. They have live bands on some nights and DJs playing through the week. It is a great place to chill, or dance or play pool or just lounge and watch the night go by. Sundays are their most popular salsa nights, where they have an instructor teach you for the initial part and then everyone just takes to the floor to do their own salsa moves. Cantare in Saligao is where you head to on Mondays if you are in the mood to jive, swing, foxtrot or more of the old style dancing. They have a very popular jazz band playing every Monday night. It has a great vibe for all ages, but be warned that you are again going to need to book a table early on if you want to sample their delicious Thai and Goan cuisine. Though well known by the locals, it has now become popular even with visitors. This al fresco and huge space is another new discovery for us and right there in Baga. They have the popular band Syndicate playing on Saturday nights, so expect rock, retro thrown in with a mix of Konkani, Hindi and even Katy Perry maybe. If you are in a big group then book the terrace section upstairs, or generally just walk in to get a table. Since this one is yet to be discovered as they say, it is perfect for those of you who want lots of space to dance and not be bumping in to someone all the time. This is the newest entrant in town, with Art Deco style exterior and a rustic décor style inside. With high ceilings, quirky furniture and cartoons playing in the backdrop, it gives you just the right vibes, to dress up and party. They do a Bar Stock Exchange on Fridays, Rock & Roll Thursdays with a live band, not to mention the DJs that swing by weekly. This place has become very popular with the youngsters for sure, so be warned that if you are over 30, then you are going to keep up with the kids dancing there. Firefly is a popular spot in the South for a night out during the weekends especially. They always have some great bands from Goa as well as other cities playing here most nights. So be it jazz, rock, retro or pop, you will get to hear it here for sure. This one is popular with youngsters as well as oldies, so definitely worth checking it out if you are in or around Benaulim. Hire a taxi for night and avoid drinking and driving while you party the night away.